Q. 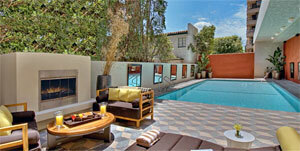 What happens when the country's most stylish hotel group meets L.A., taste-maker to the world? Once again, Kimpton has expanded its modish reach, and we're following along. This time, you'll be in the heart of West L.A., Westwood village to be exact. 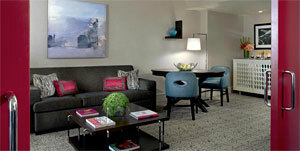 And while boutique-y in flavor, this hotel offers much more than great upholstery, fancy soaps and big TVs. It has 5,000 sq. ft. of state-of-the-art meeting/reception space, an outdoor pool and 24-hour fitness and business centers. It also has Blvd 16, California dining at its best (casual and fine! )—ideal for meetings or a needed break from meetings. 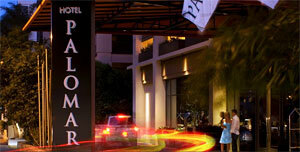 You may visit their website at www.hotelpalomar-beverlyhills.com.